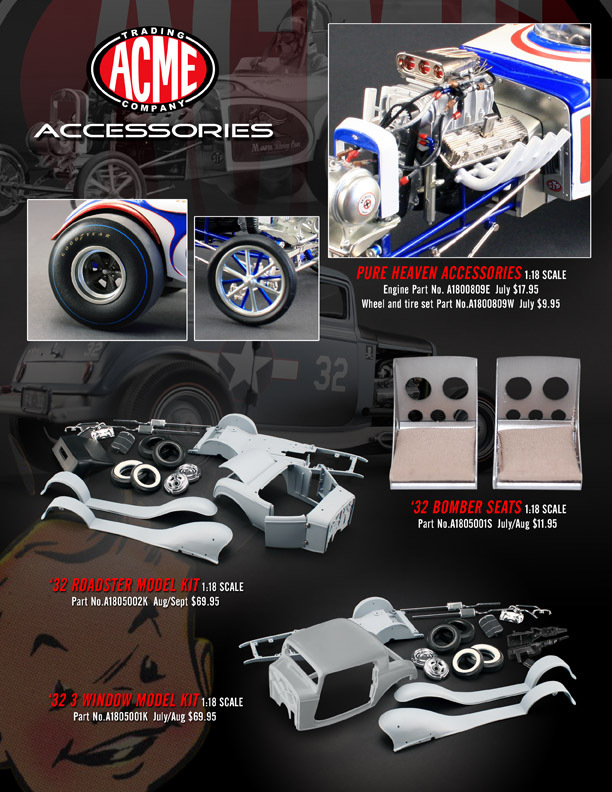 Attention all customizers – ACME is at it again – This time delivering to market some great hands on interactive items that will keep you tinkering for hours. Pure Heaven accessories such as wheel and tire combos and fully assembled engines will be available soon for individual purchase. 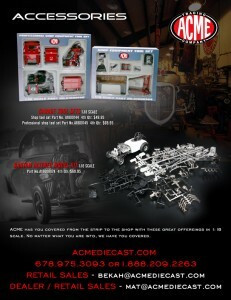 If your more of a ground up builder three 1:18 model kits will be available this summer as well, a 1932 Roadster, a 1932 3 Window and the Bantam Altered and after you finish assembling your model kit (or not) you can create the ultimate workshop diorama with ACME’s new line of 1:18 garage accessories. I am glad to see Acme offer these pieces for do-it-yourselfers. The engines and wheels are what I like. 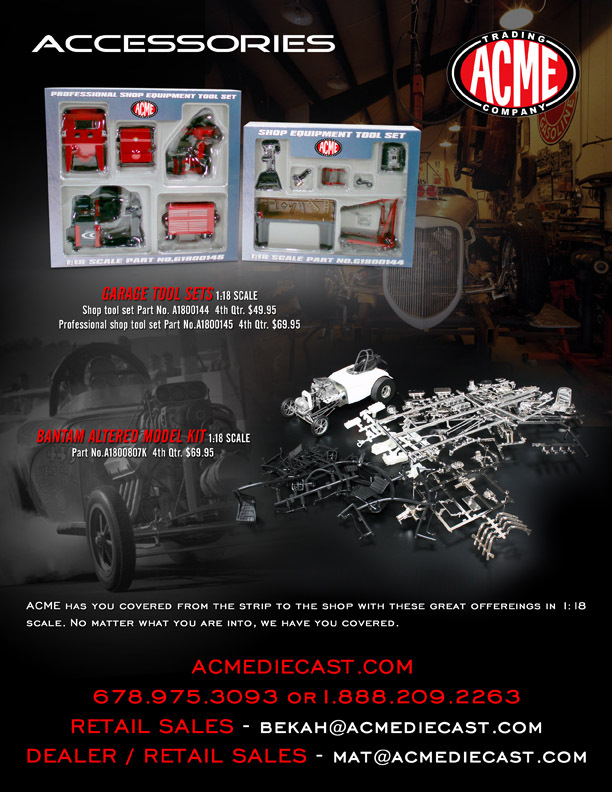 Acme personnel are great to their customers on the phone as well when I had some issues with assembling the Fiat altered kit.